In the western society sometimes we find ourselves thinking that yoga is about being able to fold ourselves into a suitcase with ease. We see people who hold incredible postures effortlessly, and we can't help but think that this must be the highest level of yoga. So, from time to time a reminder may be needed to remember that yoga goes much deeper than the physical form. According to The Yoga Sutras of Patanjali, Hatha Yoga has eight limbs: yamas, niyamas, asana, pranayama, pratyahara, dhaurana, dhyana, and samadhi. One step leads to the next in this order, and each step will be practiced throughout life. All equally important and in balance with the others. Yoga Asana means the physical postures we learn in class. When yoga asana is performed correctly, muscles are stretched and strengthened, and we find equanimity throughout our bodies. As our minds and bodies are connected the practice of yoga asana has major effects even without us noticing it at first. Because of this oneness our bodies will always reflect what the mind believes. This is how we have body language which goes much deeper than nodding your head and making eye contact. The way we hold our bodies through habit subconsciously radiates what we believe, and thus, what we continue to create in our lives in every moment. When we begin our yogic journeys, we must first find balance within before we can gather the courage to dive deep into our intuition and start our unstoppable journey towards self-realization. It won't be easy at first as we all have many years and different layers of habits set in our bodies and minds, from the sports activities we do, which hand we write with, or, from mental and emotional patterns which built up throughout the years – and yes, these are all held in our bodies. Clearing the veils of illusion takes time and deep practice. Practicing yoga asana helps to prepare our bodies for the journey of self-realization. In fact, some may want to dive deep at the start with a Yin practice, which targets the fascia (the "full interior body suit" essentially encapsulating all of our muscles), releasing all the body has digested. Think of all the emotions and words and feelings you've digested over the years - how good would it feel to not only release them from your mind, but from within your body? On this path it is important that even the smallest cells in our bodies are strong enough to handle the energetic changes we will experience. Everyone has their own journey, however it's safe to say that most people feel a difference after practicing yoga. These experiences can vary dramatically among practitioners because we all start in a different place physically and energetically. Yoga Asana is practiced along with breath control in order to stay in the present moment, massage the internal organs, and continuously send fresh oxygen to the muscles while stretching and strengthening. 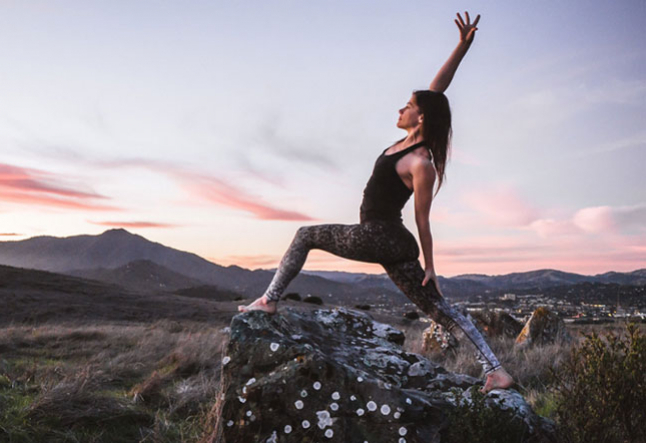 The ultimate “goal” of yoga (arguably there is no goal, however we might all have a reason why we started to practice yoga asana in the first place) is to provide stability, balance and health. Flexibility and strength will come as a by-product, but they are not the reason we're practicing yoga. As you start this journey of practicing yoga, you will come to see your body and energy levels are changing towards these three “goals”. You wouldn't believe that the practice of yoga postures was originally developed to open yogis' bodies enough so they could sit in one place comfortably in meditation for longer periods of time. When we are tight and stiff, it is uncomfortable to sit for hours, (or even just 5 minutes if you ask me) without feeling discomfort in different parts of the body, and when that happens, our minds can`t focus on diving into our subconscious. This - of course - is just one of the aspects of how the physical practice will prepare our bodies for deeper practices. Finding a meditative flow is another way for example, for yogis to incorporate the asana practice with the ultimate path of self-realization. Due to globalization, all these ancient practices seem so distant from who we are and how we live our lives, so it is to be expected that many people wouldn’t know about yoga beyond the mat – but I'm telling you, we all do experience the real yoga in our everyday lives without know it's happening. What does yoga mean? The word 'yoga' means 'union'. Union, if you think about it, is a practice that we can find in basically everything we do. Whether we are driving to work, cleaning the house, or chatting on FaceBook, there's that blissful feeling when we just become one with the thing that we're doing. Imagine seeing a dancer performing a dance that is just impossible to stop watching. Why? It is the union. The dancer became one with the dance. There's no dancer without the dance and there's no dance without the dancer. They are one. So just like this, when we find union in each action (and again, it doesn't have to be a Broadway performance, it can be as easy as ironing shirts or singing in the shower), we are practicing yoga at its truest form.